Find out about Augmented Reality in education. Augmented Reality education delivers interactive teaching via a tablet or smartphone – an exciting way for people to learn. Whether its teachers, parents, Government bodies or even pupils you need to communicate with, using Augmented Reality as a digital communication tool can inform and educate your audience really exciting way. It’s the 21st century and students love technology - so what better way to communicate and educate them than through their smart devices? Augmented Reality in education allows students to interact independently or as part of a team using technology which supports learning. AR can provide fun orienteering activities, interactive science projects, or language translation – the sky's the limit. As a digital teaching or communication tool for learners, Augmented Reality enables printed material or geographic locations to be transformed to digital content. As more and more schools introduce smart devices to learning and the students ownership of smart phones increases, we see an explosion in digital learning through Augmented Reality. Embrace the opportunity and make Augmented Reality your teacher’s pet! 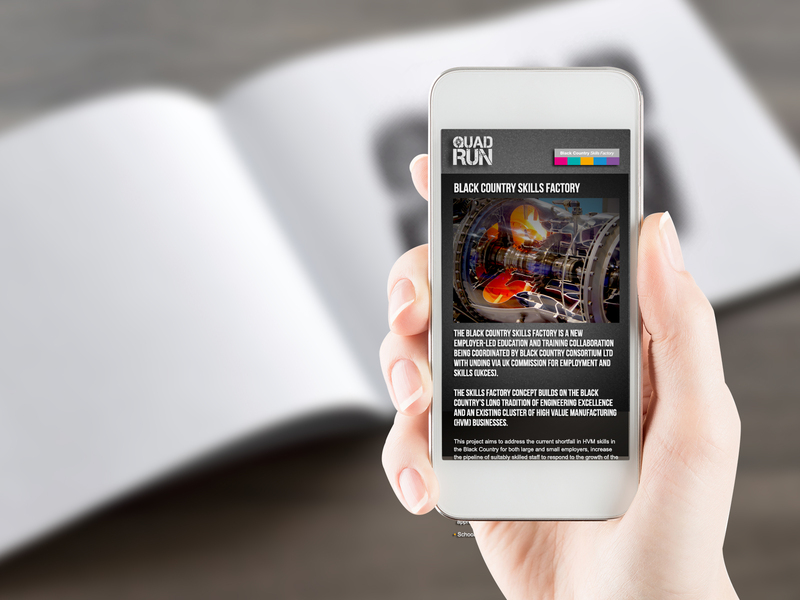 Stand out from the competition with an Augmented Reality application to demonstrate your success, including virtual student case studies or statistics of achievements. Whether you want to highlight outstanding Ofsted reports or impressive teaching staff using a combination of print and digital communication, Augmented Reality can even include a virtual video from the head of the school, activated from your school's prospectus.